Since the release of the Pinterest mobile app, use of the social network on mobile devices has skyrocketed in comparison with the web version and continues to grow. Pinterest is now one of the top contributors of traffic for bloggers and brands and much of this is thanks to Pinterest mobile. A recent study shows that 75 percent of all daily Pinterest traffic comes from mobile devices while nearly 50 percent of all social sharing on iPads is from Pinterest. So how can you increase the likelihood that your pins get shared and clicked-through on the mobile app? 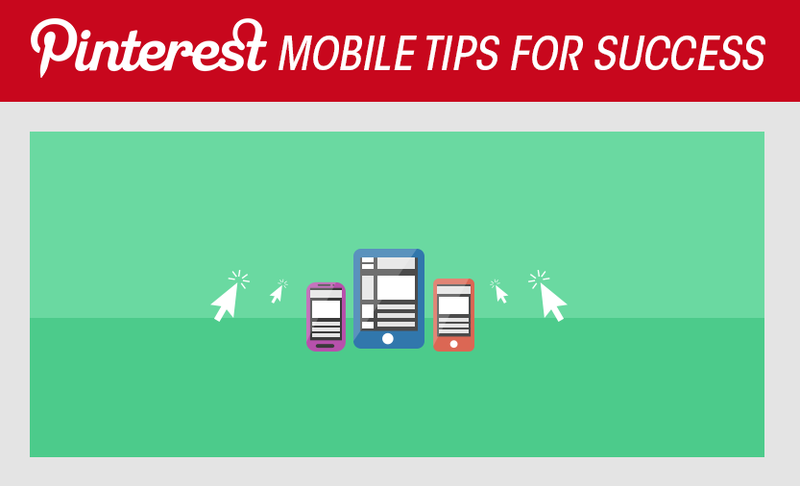 Here's a handy infographic tilted Complete Guide to Pinterest Mobile Marketing from everypost team that proposes some tips to successfully marketing on Pinterest mobile. Use easy to read fonts: Make sure text images are legible on a small screen. Share GIFs: GIFs are very engaging and can be viewed in the iOS and Android app. Caution! Links in Pin Descriptions are not Clickable: Make sure your pins link back to your website under "source". Links in the pin description are not clickable on Pinterest mobile.